The global war on terror has taken an unexpected turn in light of security crackdowns implemented by the TSA at airports nationwide. The CIA, NSA and DHS have all confirmed the interception of intelligence reports that Al Qaeda’s next target is the National Football league (NFL). 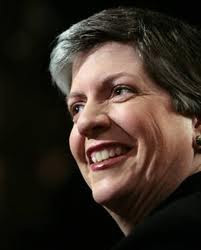 “I have personally seen the secret messages that were leaked to our intelligence agencies, and they clearly state that Al Qaeda has stepped up its efforts to disrupt Professional Football and threaten NFL athletes” said Janet Napolitano during a press conference in Boston. Kurt Warner of ESPN asked Napolitano why she would be assuming the role of a screener, instead of attending to her regular duties as DHS secretary. “I will do whatever it takes to keep these NFL players safe, and nothing is off the table to ensure their security” she replied. In related news, TSA director John Pistole has received a letter from another top-ranking Al Qaeda official, which claims that terrorists will also begin targeting Adult film studios. Reeling from 6-3 defeat by the Minnesota Twins on Sunday, the Yankees fared no better with their fan base following the disappointing loss. “I was shocked, horrified and disillusioned after being treated in such a manner. I did nothing to deserve that treatment” said an angry Alex Rodriguez during the post-game show. It all unraveled when the slugger made his way out of the dugout following the loss. As he headed for the locker room, he stopped to ask a nearby fan for his autograph. After refusing to sign the baseball which A-Rod held out, he dropped his head, pouted and shrugged his way toward the showers.